For wallpapering in Oldham, and much more, look no further than Fisher Marshall for a complete and comprehensive set of services tailored perfectly to meet your individual needs. For more details, call our friendly and helpful team today. 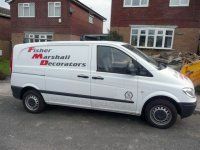 Whether you require a painter and decorator in Rochdale or a decorator in Royton, Fisher Marshall offers a superb combination of vast experience in the field, and expertise in a wide range of disciplines. With over 20 years of top level experience, and members of the Guild of Master Craftsmen and the British Decorators Association, you can be confident of professionalism, competence, efficiency and integrity as standard. 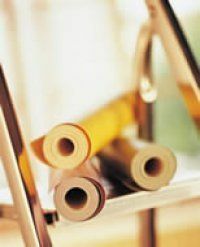 We have built a reputation on our ability to apply traditional time served painting and decorating skills using the latest techniques and first class materials. To find out how you could benefit, call today. For a painter and decorator in Manchester and throughout all surrounding areas, stretching into the whole North West of England and, should the job require, nationwide if need be, make your first choice Fisher Marshall. We offer a high standard of work to meet your every request, and no job is too large or too small. We serve clients from the domestic, commercial and industrial sectors, and have established a loyal customer base owing to our insistence on the highest quality work at the most competitive prices. To see what you're missing, get in touch with Fisher Marshall. For further information about our range of services, or if you have any other enquiries, contact us today using any of the details listed in the sidebar above. Alternatively, email us using the form provided on the Contact Us page of this website. We look forward to working with you.